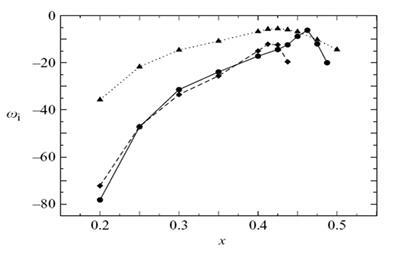 The stall behaviour of aerofoils at low and moderate Reynolds numbers is often determined by the behaviour of transitional separation bubbles, in which a laminar boundary layer separates, undergoes transition to turbulence and subsequently reattaches as a turbulent boundary layer. Such separation bubbles act as a site of laminar-turbulent transition and the ultimate breakdown of the reattachment process then dictates the maximum lift possible with the aerofoil. In this work the governing equations are solved by direct numerical simulation using 170 million grid points. 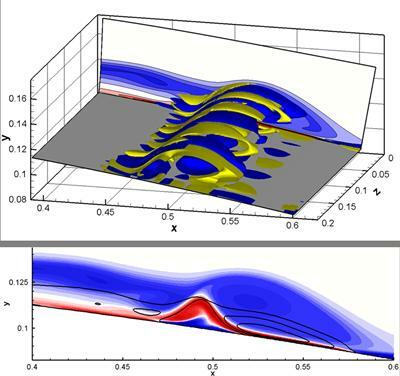 The simulation databases were used to identify a new mechanism of transition to turbulence which depends on a global instability of the unsteady vortex shedding that occurs behind the separation bubble. 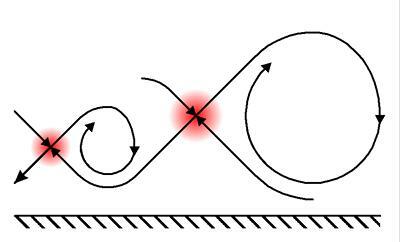 This mechanism explains the observed self-sustaining nature of transition, even though the flow is locally only convectively unstable. 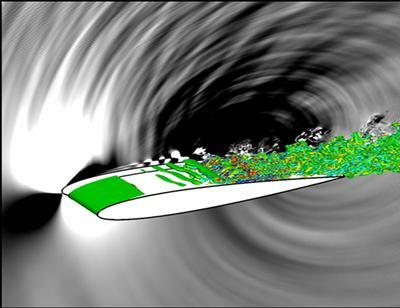 The simulations additionally contain information on the sound radiation from the aerofoil, with strong sources located near the reattachment point and at the trailing edge.